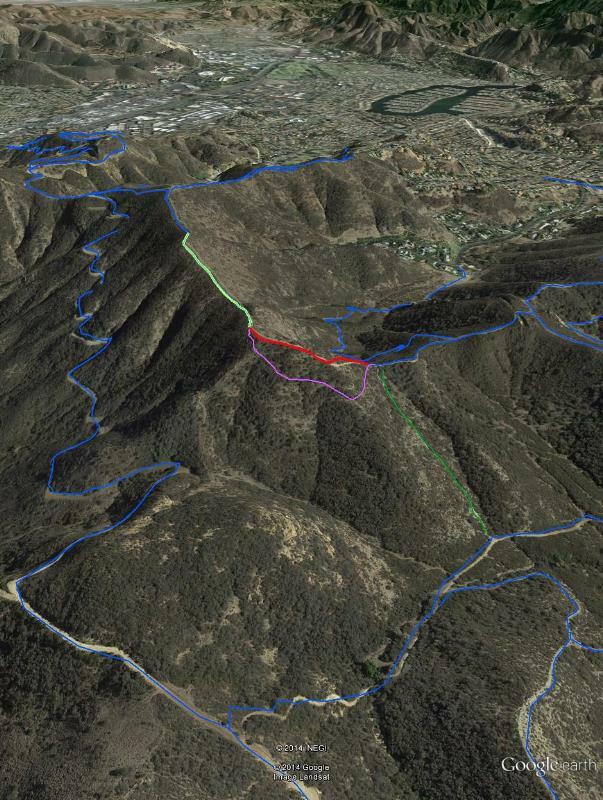 Google Earth view of the trails in the Los Robles East area. The "Descent of Death" is shown in red. The bypass we built is pink. 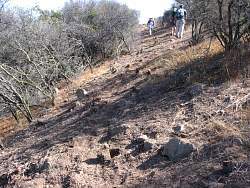 The loose rocks were removed from the light green section of the Conejo Crest Trail, and the dark green trail trail had brush cut back, loose rocks removed and drainages installed. For reference, the Los Robles East Trail is on the left side of the image, and the White Horse Canyon trail at the bottom, both in blue.